The new 2019 BMW X5 models are now for sale at BMW of Bloomfield in Bloomfield, NJ! Learn more about the lease deals on new BMW Sports Activity Vehicles happening now at our local BMW dealer. X5 drivers will enjoy convenience, luxury, and utility. To meet this new BMW sport crossover in person, schedule your X5 test drive in this new SUV at your local BMW dealer near Newark and Clifton. For 2019, BMW offers its new X5 in two options. Choose between the X5 xDrive40i and the X5 xDrive50i. For those of you who opt for the X5 xDrive40i, you will command a 3.0-liter BMW TwinPower Turbo inline 6-cylinder engine. The xDrive, intelligent all-wheel drive delivers power to all four corners when you need it most. Desirable performance features in this model include Auto Start-Stop function, Trailer Hitch Prewiring, Brake Energy Regeneration, and Electronic throttle control. A smooth and precise ride comes from the Dynamic Damper Control, Double wishbone front suspension, Electric power steering, and Servotronic power-steering assist. Walking around the exterior of the new X5, we find an attractive body accentuated by a Roof spoiler with center brake light, Automatic high beams, Satin Aluminum roof rails, and Chrome exhaust tips. Moving into the X5 xDrive50i, we find a 4.4-liter BMW TwinPower Turbo V-8 engine that delivers 456 horsepower. Notable performance notes include Brake Energy Regeneration, Auto Start-Stop function, and an Electronically controlled engine cooling. The cabin of the new X5 offers an Anthracite headliner, Vernasca Leather upholstery, and is accented by Fineline stripe brown high-gloss Wood trim. The 40/20/40 split-folding rear seats, Cargo cover, and Floormats add to the versatility of this new BMW crossover. Just because you have a powerful SUV with xDrive, intelligent all-wheel drive, doesn't mean you can't be comfortable. Inside of the new X5, we find a fully automatic Panoramic Moonroof, Automatic 4-zone climate control, Active-charcoal micro-filter ventilation, and a Power tailgate. Which all-new BMW X5 will find a home in your garage? Might we suggest the X5 xDrive50i in Phytonic Blue Metallic? Regardless of the model, features, and color you choose, our BMW sales associates are waiting to assist you. While you are strolling the showroom of our local BMW dealer, our finance team can tell you more about the benefits of financing and leasing. When you're ready to drive home in a new BMW, apply for BMW X5 financing near Newark and Clifton. 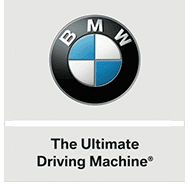 BMW of Bloomfield is proud to be your home for BMW sales and service. We are eager to put you behind the wheel of an all-new 2019 BMW X5 Sports Activity Vehicle you'll love. Stop by our New Jersey BMW dealer to explore its effective safety options, luxury comforts, and desirable features. To keep your BMW X5 running like the day you drove it off the lot, schedule your service appointment online for reliable BMW repair and service. Make the short drive from Newark and Clifton to our BMW dealership, shop BMW of Bloomfield today!